Today we’d like to discuss what if Lionhead developed Fable 4? Peter Molyneux and the developers over at Lionhead had plans for Fable 4, but unfortunately, the studio interference of Microsoft made sure those plans would never come into creation. 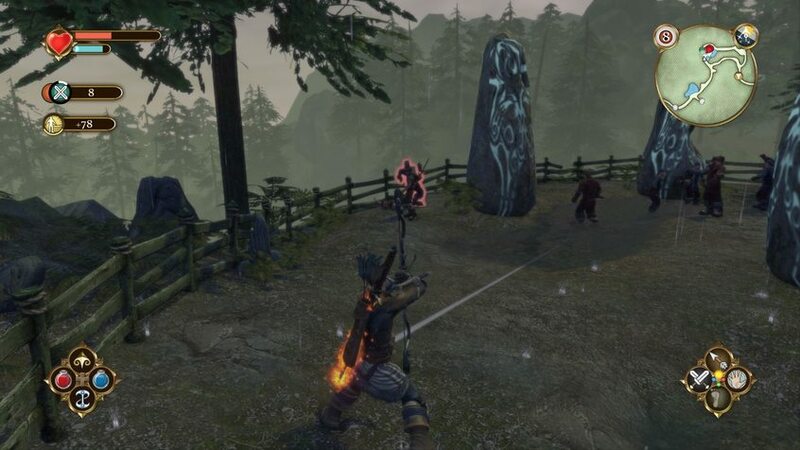 Lionhead did want to make Fable 4 but were forced to create a $75 dollar piece of coded crap known as Fable Legends, which ended up being cancelled anyway. With the cancellation of Fable Legends, Lionhead was forced to close their doors. Lionhead is out of the picture and there are rumors that Playground Games is working on the next installment. 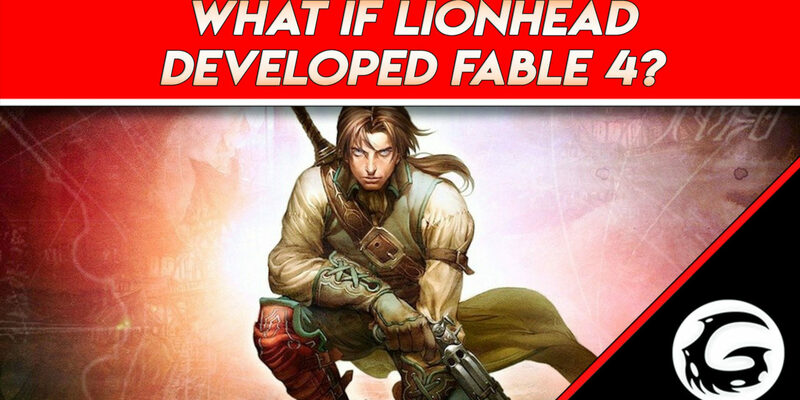 With this rumor floating around we’d like to take a moment and wonder, what if Lionhead developed Fable 4 after all. What would it be like and would it work? Peter Molyneux has gone on record saying that his team wanted to make Fable 4 but didn’t get the opportunity. Even after the closure of Lionhead he still wishes to return to the series. He’s talked with IGN about the direction he would want the 4th installment to go in. 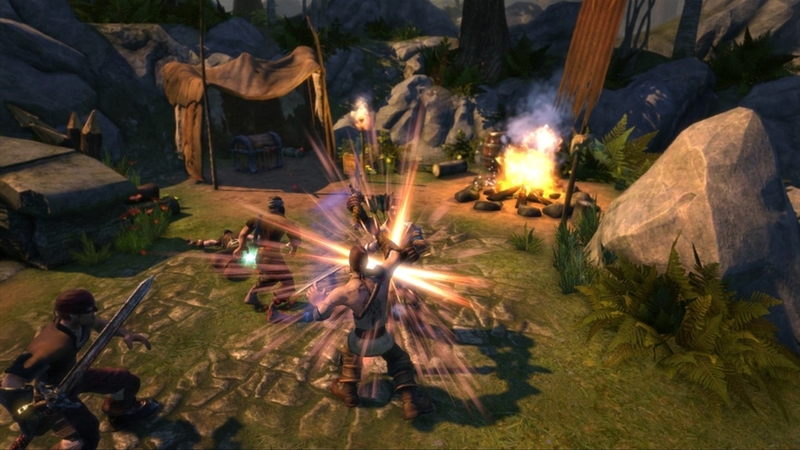 Molyneux stated that he wanted it to be a prequel to the original Fable. Have a revamped combat system and be a much larger game with plenty to do. While everything he lays on the table sounds awesome, we had some ideas of our own. A prequel does have the opportunity to create some new environments not seen in previous Fable titles and new factions as well. Fable has always been about starting from nothing. Whether it be starting out as a someone who had everything taken from them, or as a child who had nothing to begin with. Fable is about growing as a person, so that’s why the game would need you too start out small. If Lionhead were to take the prequel route perhaps they could go back to a time where there were no kings or queens but instead areas that governed themselves. Creating a much more dangerous environment and allowing for different areas to have their own set of rules and themes. As far as combat goes we would like to see some improvement over previous titles. While combat hasn’t necessarily been bad in Fable, it not that great either. It more of a hack and slash than anything. Pressing the same buttons for the same effect doesn’t allow for a lot of variety. Combat could use some flare, allowing for more player customization. No longer will the player just swing their sword, the player should be able to use combos and add a little style while cutting down enemies. ells we’ve never seen before. Fable 3 attempted to mix spells by placing different ones on either hand but all this really did what allow you to use both at once. What we’d like to see are some different effects when using both at once. Instead of enemies just being scorched and shocked, the combined effect could electrocute them and then cause them to explode with nearby enemies taking damage as a result for example. World size is a big topic when discussing a new Fable game as we live in a time where games like Horizon Zero Dawn, The Witcher 3 and Breath of the Wild all dominate the open world RPG genre. Lionhead would have to increase their world size dramatically. 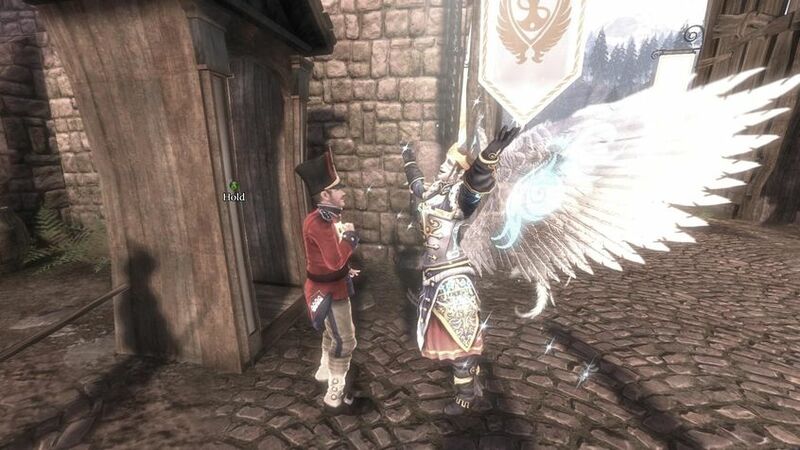 Fable 3’s world size was large but a majority of it was towns and settlements. Fable 4 needs large free roaming locations filled with plenty of things to see and discover. Instead of areas feeling linear as is the case with most Fable titles. Side quests should also be more common, The Elder Scrolls V: Skyrim and The Witcher did a great job at filling their world with mountains of side quests that ranged from serious to silly. Fable 4 under development of Lionhead would more than likely start you out with nothing or have you lose everything in the beginning. In Fable 1 your village was attacked by bandits. Fable 2 started you out as a pauper child who lost everything one fateful night in a castle. In Fable 3 you start out as a Prince who is forced to leave his old life behind to save his kingdom and go underground to become a rebel. There are plenty of routes Lionhead could of gone but they have to have that same underlying theme that all Fable games have, to start out with nothing and work you way up to the top. If the game was set as a prequel to Fable 1 we could see a much more brutal society and therefore more tragedy. More than likely the villains or villain of this story would have a personal connection to you. Whether it be you knowing them personally or them causing you great harm. We could of expected to jump through plenty of hoops and acquire many allies in order to be ready to fight them at the end. We would be sure to meet likable characters and develop favorite among them. The story would inevitably wrap up with you coming out on top but not without struggle or the help of others. Fable 4 has to compete with some big name titles when it comes to enemies. The occasional bandits and balverines won’t cut it anymore. Fable 4 would need to scale things up when it comes to monsters and enemies all around. Peter Molyneux stated that he would of liked to see hordes of enemies to god-sized giants, and of course dragons. We completely agree, fighting something large isn’t something we’ve really seen in the franchise. Fighting dragons and large creatures would be a welcome addition to the series and would make combat so much more intense. We would also like to see more varied enemy types when it comes to the smaller enemies. Now Peter Molyneux stated that he’d like to see the fourth installment take on a first person perspective. We respectfully disagree. We want to see our character at all times. One of the best things about Fable is watching your character grow and roll around the battlefield. As we survive through battles, the scars we gather are displayed on our characters glowing to remind us that we are not invincible. First person also doesn’t allow for clothing customization, which we all know is where we spend a quarter of our time playing Fable. First person would work only if the player could switch between first and third person much like in The Elder Scrolls V: Skyrim. Co-op is a nice touch to the Fable franchise but most of us would rather play Fable solo. Gives it a more personal touch when you defeat a horde of Hollow Men all by yourself. Online co-op seems the most plausible as couch co-op would make things difficult to navigate when both of you could switch perspectives constantly. Fable 2 introduced the canine companion that follows you throughout your entire journey. This was a nice addition as there is many things the dog can do. From finding treasure buried nearby, to attacking downed enemies. What Fable 4 could do is allow you to pick which animal you would like as a companion. Picking different animals would have different effects. For instance picking a canine would help you discover treasure underground and attack downed enemies like previous titles. Birds would be able to grab things from high ledges and attack enemies from above. Big cats would be able to fit into small crevices and be fast and agile when attacking enemies. Another nice personal touch to the series. These are just some of the ideas we had if Lionhead had developed Fable 4 on the backing of Peter Molyneux. Some ideas Playground Games are free to use if they are indeed developing the next title. There are plenty more we have such as home building, transportation ideas and family elements. Those could come at a later date. Leave a comment below and don’t forget to check out the video above! PreviousDiscussion: Do We Need Bioshock 4?